Adoption is rewarding opportunity that can permanently enrich the lives of adoptive parents and children. There are three primary categories of adoption in Texas: private, Child Protective Services, and international adoptions. Private adoptions occur between a birth parent and a child’s adoptive family. Child Protective Service adoptions include children who have removed by Child Protective Services from abandonment, abuse, or neglect. 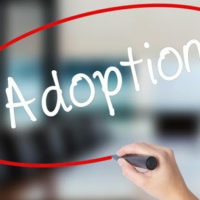 This article, however, will focus on listing some key facts about international adoption, which are arranged through an agency that deals with children of any age from the United States and other countries. The Hague Process. This process applies if a child is a resident in a country that is a member of the Hague Intercountry Adoption Convention. The adoption process that is required by the Hague Convention includes a home study of the adoptive parents by a certified agency. The adoptive parents must then file a Form I-800A with the United States Citizenship and Immigration Service, which sends its approval to the child’s home country. The appropriate agencies in the child’s home country then match the application with a specific child and initiate a report. If adoptive parents approve the match, the parents then file a Form I-800, which is sent to the State Department. At this point, the parents apply for an immigrant visa at the United States division within the child’s home country. A series of correspondence and interviews are then conducted that can result in an adoption. The Orphan Process. This process requires a parent to establish that a child who the parent plans to adopt or has adopted is an “orphan” as defined by applicable law. An “orphan” in this context is a foreign-born child who: (1) does not have any parents due to death, disappearance, abandonment, or desertion, or (2) the child has a sole or surviving parent who is unable to care for the child. The most significant difference between domestic and international adoption is due to cost, with international adoption often being much more expensive. It is possible for individuals to obtain loans and grants for international adoption, but to qualify for these amounts an adoptive couple must meet various additional requirements. When an international adoption is performed, an adoptive couple must comply with numerous rules and regulations of which complete compliance is required for the adoption to be valid. Once Texas adoption requirements are met, adoptive parents must then obtain an immigrant visa for the adopted child. When the child enters the United States, the child will then be granted citizenship. Also, once an adoption order is registered and the Texas court approves, the state of Texas registrar will issue a birth certificate for the child. If you are involved in an international adoption, it is an extremely wise idea to retain the services of a knowledgeable adoption lawyer who has helped clients in similar situations. Consult with a top Houston family law lawyer at Lindamood & Robinson, P.C. today.